If all goes well, Ford India will park its second manufacturing unit right next to Tata Motors' Nano factory at Sanand. 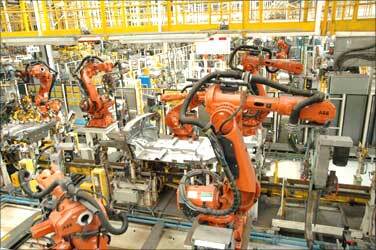 Ford India had sought 550 acres from the state government to set up a mother plant together with an ancillary park. "The company (Ford) has asked for 400 acres for its mother plant, and needs 100-150 acres for its ancillary units," said a state government source, adding that the government had identified land at Gujarat Industrial Development Corporation's (GIDC) estate at Sanand. According to sources close to the development, an announcement is likely within a fortnight. 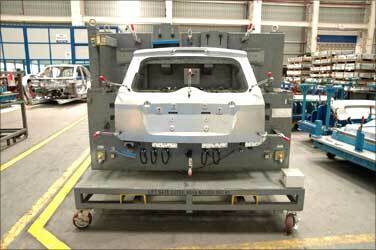 This would be Ford's second plant in India. It already has a manufacturing unit in Maraimalai Nagar, Chennai, which has an annual capacity of 200,000 units. Ford had expressed interest in scouting land in Gujarat in November last year. Talks have been on between the US-based car major and the government. "A Ford India team met senior state government officials earlier this week, and the negotiations were very positive," said a source. The company is expected to have taken a decision in its board meeting a few days back. 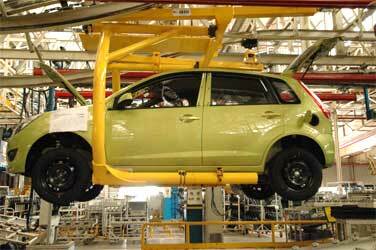 Ford is believed to have exchanged notes with the existing auto majors who have operations in Gujarat. On its part, Ford neither confirmed nor denied the development. "In line with its long-term commitment, Ford continues to pursue an aggressive growth strategy in India to bring world-class vehicles. As part of its plan to introduce eight new products by the middle of the decade, Ford is significantly expanding its capacities in its existing facility in Tamil Nadu, as well as exploring other options to meet the growing demand of consumers in India and export markets across the world," the company said in an e-mailed response. 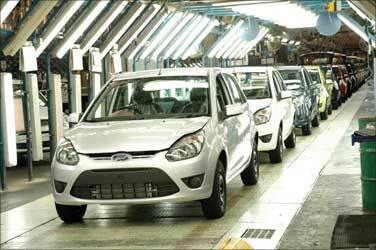 Ford, which rolled out the new Fiesta sedan from its Chennai facility on Friday, is trying to develop India as a manufacturing hub. 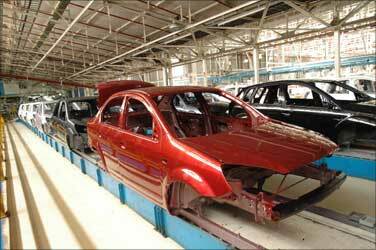 It will launch eight new models by 2015 as a strategy to increase its market share in the domestic auto industry. Meanwhile, it is in the process of ramping up the capacity of its engine plant at Chennai with an investment of $72 million. Post expansion, the engine plant capacity will rise to 330,000 units per annum from a current 250,000 units. Nigel E Wark, executive director, marketing, sales and service, said: "We are at present focusing on expanding our engine plant at Chennai, announcement about a second manufacturing plant will happen at an appropriate time. We would not like to comment on speculation." Ever since Tata Motors chose Gujarat as the home to the world's cheapest car, Tata Nano, the state government has been on its toes to develop Gujarat as an auto hub. Maruti Suzuki chairman R C Bhargava visited Gandhinagar in the first week of June. The country's largest passenger car maker has shown keen interest in setting up its first plant outside Haryana in Gujarat. Maruti officials have been shown a few locations across the state, including Sanand near Ahmedabad, Halol near Vadodara and Dholera where a special investment region is coming up. A decision is likely within the next two-three months. Automakers Hyundai Motors India, Peugot, and Hero Honda have also visited the state in recent times, exploring possibilities to set up their respective manufacturing units. 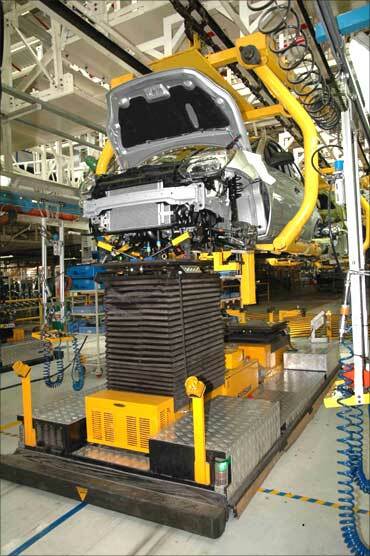 General Motors was the first to set up a plant in Gujarat at Halol in 1996. While the company's Halol unit was hit by two back-to-back strikes within a span of six months starting October last year, GM India said the state government's pro-active stance and investor friendly nature helped it overcome all the trouble. "Gujarat is by far the most pro-active and investor-friendly state, and the government's prompt response at times of crisis makes it easier for companies to operate here. And the positive attitude spans right from the chief minister's office to the junior official we have to interact with," said P Balendran, vice president, corporate affairs, GM India.